DublinBet is the premier live dealer casino specialising in live dealer games, all from a real land based casino in Dublin, Ireland. The site features live roulette, baccarat, early payout blackjack, and Texas Holdem bonus, as well as a full suite of RNG games, including slots, video poker, blackjack and many others. Trust is the most important consideration when playing online, and DublinBet provides you with confidence in trustworthy results through their live games. Players experience the real thrill and buzz of live casino games as they interact with the professional dealers as the proprietary Distance Gaming ™ software lets you interact with the dealers in real time. 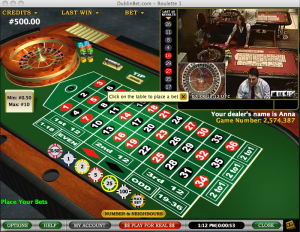 Quite simply it is as close as you can get to being at a real casino on the internet. Of course the main attraction is that the DublinBet site enables players to experience the full casino experience from their home computer. 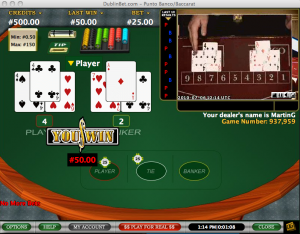 It differs from all of its rivals in that players interact with real dealers at a casino, the Fitzwilliam Casino & Card club in Dublin, as opposed to a replica environment being broadcast from a studio. All live results are determined from a real game, in real time, and are not computer generated. The bonuses are great as well. DublinBet offers a generous 100% first time bonus up to €100, with a reasonable wagering requirement of 37x the bonus and qualifying deposit. For a limited time DublinBet is raising the first time bonus threshold to €200 if you deposit using Moneybookers. To claim the special extra bonus you must enter the code ‘MONEY200’ in the Cashier. Deposits can be made through your credit card, Moneybookers, Neteller, PaySafe, Click and Buy, instant banking, and other popular methods. The site also offers great subsequent bonuses on every deposit of 10% on deposits of €1 – €300 (carries a wagering requirement of 6x bonus plus qualifying deposit) or 15% on deposits over €301 (carries a wagering requirement of 9x bonus plus qualifying deposit). DublinBet has built up a strong reputation as a prompt payer – good news when you come to collecting your winnings. The site also offers 24/7 support in more than 10 languages, and has the site fully translated into; Spanish, Italian, German, French, Greek, Portuguese, Russian, Polish and Chinese. There is no software download required to play on DublinBet so no worries about installing unknown software on to your computer. 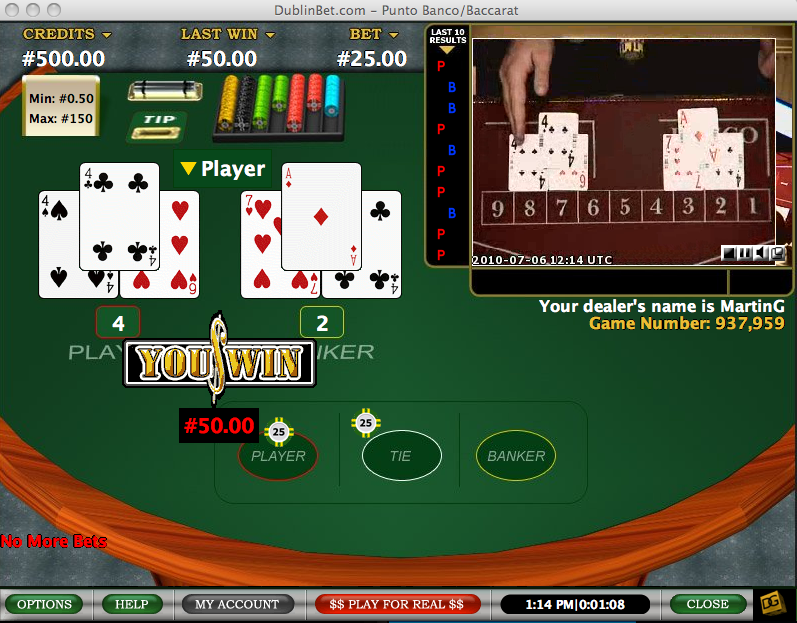 DublinBet uses proprietary VueTec, Distance Gaming software, and is licensed in the Isle of Man.